The anonymity of the Internet makes it terrifyingly easy for predators to target unsuspecting kids online. Even if you trust your child’s judgment, you have no reason to trust the millions of other users on social media sites who can easily pretend to be their peers. How can you be sure that the new “friend” your youngster meets on Facebook is really a child at all? You can’t. That’s why sites like these are dangerous places for kids to be. The reality is that most people who use social media sites are adults. Would you send your kid to a party where most of the guests were over the age of 18? Of course not. Why then would you allow your child the opportunity to interact with countless strangers in the virtual world? Online predators aren’t the only people active on social media sites who pose a risk to children. There’s an even greater chance that your youngster could come in contact with another child who doesn’t share your family values. Peer pressure, cyberbullying, and inappropriate conversations amongst kids are rampant online, and your child can certainly be harmed through interactions with kids who you wouldn’t approve of. If you wouldn’t welcome them through the front door, then why allow them into your home via a social media platform? Even if you feel that your child is smart enough to evade online predators and negative influences online, you can’t be sure that his reputation will be protected. 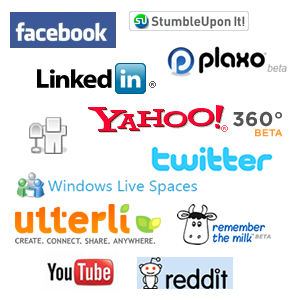 The fact is there is very little, if any, privacy associated with social media sites these days. That means anything your child posts on Facebook, Twitter, or other similar sites is available for public consumption and scrutiny. What does this mean for your kid? Well, the possible negative implications of a crass post or racy picture are endless. Not only could your child be teased or bullied as a result of something posted online, but he could also unknowingly put his future academic or career goals in jeopardy. It’s becoming more and more common for would-be employers to “google” potential employees before making hiring decisions. Depending on what kind of content your child has decided to share via social media, what a college recruiter or hiring executive finds online may cost him dearly. Convinced that social media platforms are no place for kids? The next step is to ensure that your child doesn’t sign up for an account on such a site without your knowledge. While we would all like to be able to trust our children completely, the truth is that kids are known to have lapses in judgment that can sometimes have disastrous consequences. That’s why it’s our job as parents to protect kids from themselves. One way to do that is to ensure that you have the proper security software on each computer that your child uses. Quality programs such as Qustodio allow you to monitor your child’s online activities and even block access to certain sites. Want to learn more? Visit Qustodio.com and download our free security software today. It only takes a few minutes, and the protection you’ll be granting your child will be well worth your time!